Lewis H. Thompson, of Cahaba Heights, passed away on Thursday, November 22, 2018 at the age of 99. 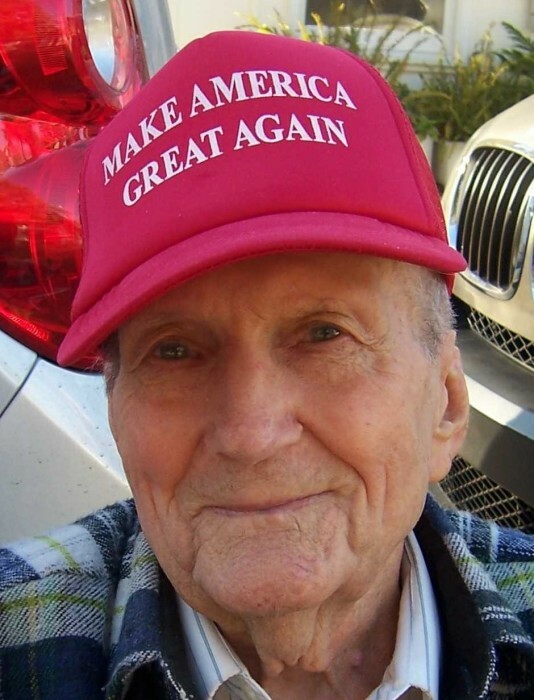 He was a U.S. Army Veteran of WWII and was retired from the U.S. Postal Service after 30 years service. He was a member of Cahaba Heights Baptist Church. He loved Big Band music and kept everybody laughing with his endless supply of jokes. He was a loving and faithful husband, father and grandfather who was preceded in death by his wife of 66 years, Betty Thompson and a daughter, Pricilla Mulder. He is survived by a son, David Thompson (Pat); a daughter, Betty Wright (Wayne); 5 grandchildren and 10 great grandchildren. The family will receive friends on Monday, November 26, 2018 from 10:00 to 11:00 AM at Currie-Jefferson Funeral Home. Funeral service will follow at 11:00 AM in the funeral home chapel with entombment in the Abbey Mausoleum at Jefferson Memorial Gardens, South in Hoover.